The British public have learnt to live with CCTV cameras over the past few years. It’s now estimated that every UK citizen gets caught on camera – on average – 30 times a day. That’s the result of around 6 million cameras installed both publicly and privately around the UK. At 1st Choice Security Systems we’ve noticed a growth in demand for CCTV systems in Essex over the past decade and our customers cite austerity as one of the main reasons for this. Essex Police has faced cuts of £70 million since 2010, which means less police on the street, leaving homes and businesses feeling vulnerable. 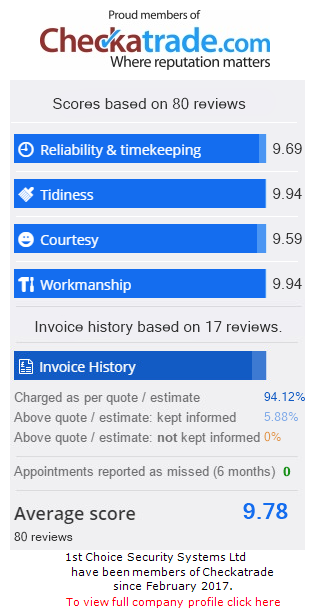 Our clients are always looking for reliable advice from the 1st Choice Security Systems team on the best way to protect property, people and premises. One question which comes up again and again is: “Does CCTV camera installation actually stop criminals?” Recent research into the impact CCTV has upon crime in the UK shows that a CCTV camera system makes a significant contribution to the reduction of crime, particularly car crime and theft. 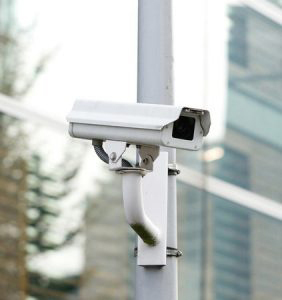 Studies show that CCTV camera installation in car parks can lead to a decrease in crime of up to 51%. Increased Criminal Convictions – CCTV systems in Essex provide clear evidence when a criminal is caught on camera, but they also help in profiling criminal individuals and gangs. Witness Detection – many crimes go unpunished because of a lack of witnesses to the criminal act; CCTV not only captures images of criminals, it also pinpoints the people who may have seen the crime unfold. Camera Shy Criminals – just knowing that a business or domestic property has a CCTV camera installation is off-putting enough to deter most opportunist criminals. Whilst Essex security cameras help to stop anti-social behaviour, they also play a part in building community strength and confidence. Studies based on interviews in areas where CCTV cameras were prominently displayed, demonstrated a reduced fear of crime, and reported enhanced peace of mind for residents. Over-all we would recommend the use of CCTV systems in Essex, if installed professionally, positioned effectively, and used correctly in conjunction with other appropriate security measures. To find out whether your premises would benefit from CCTV systems in Essex call 1st Choice Security Systems today. 1st Choice Security Systems is your local security company of choice. We know security in Essex inside out and we will happily arrange a site visit to give you the benefit of our advice without any obligation. Call us on 0800 118 2414 or email info@1stchoicesecuritysystems.co.uk. We have installed CCTV systems in Colchester, Chelmsford, Braintree, Harlow, Epping & more!